Congrats to former Mars Hill rider, Mariske Strauss, on her 8th place finish at the UCI World Mountain Bike Championships in the U23 women’s cross country. 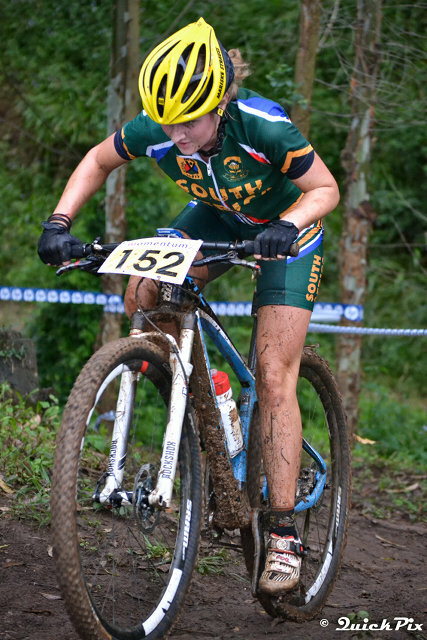 A collegiate national cyclocross champion for Mars Hill in 2012, and this year’s winner of the African Continental Championships, Strauss earned her best world championship result yet on her home course in South Africa. South Africa’s under 23 star Mariske Strauss also recovered from a nasty fall in the Treehouse section of the course to claim a career-defining eighth place whilst the South African number two, Candice Neethling, claimed a hard-fought 14th. “I had a problem with my cleats early in the race and also got caught up in a big pile-up, so I had to get through quite a lot and really had to fight back to get myself in a good position.” The crowds roared whenever South African riders passed. Editorial assistance provided by Gameplan Media. 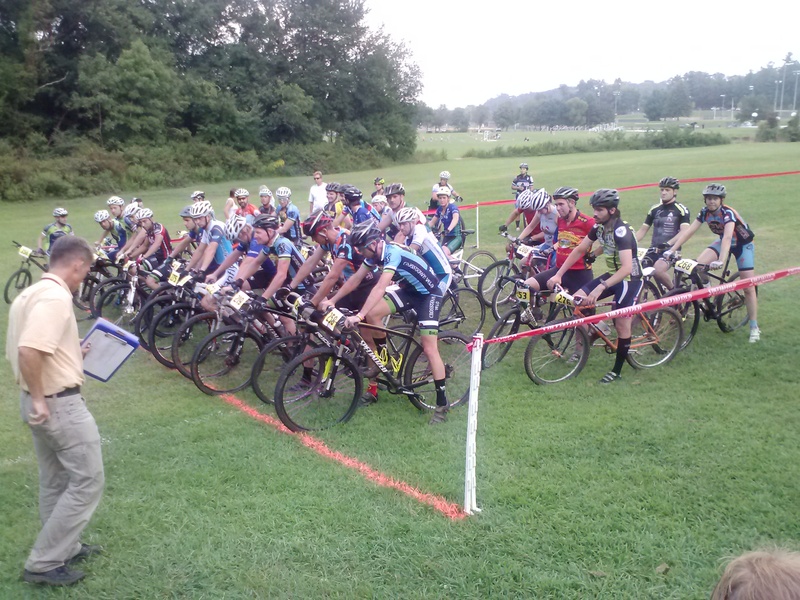 After two days of classes this Fall 2013 semester, the Mars Hill University cycling team participated in their first race of the season yesterday evening. 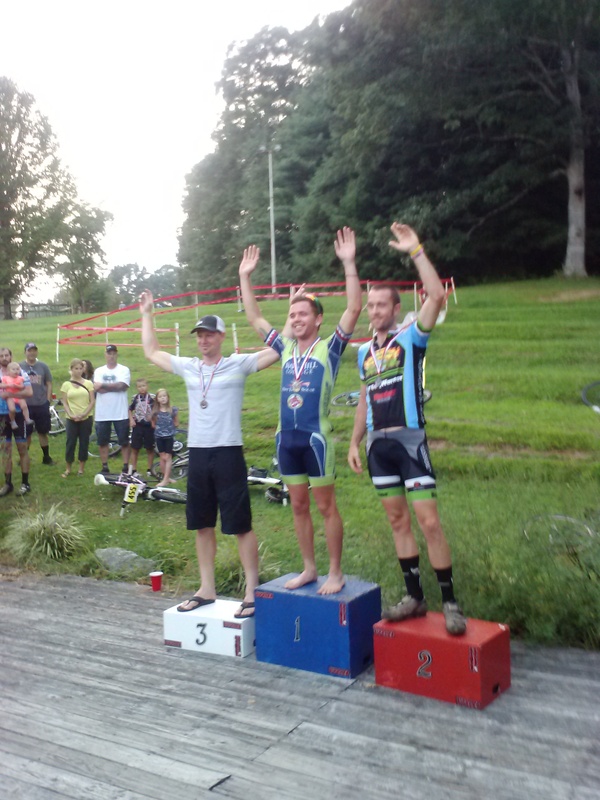 The team traveled a short trip down the interstate to Hendersonville, NC, to race the final night of the Summer Short Track Mountain Bike Series presented by Sycamore Cycles in Jackson Park, organized by 2013 Mars Hill alum Laura Rice. Mars Hill University represented well against local Western North Carolina racers and the team’s biggest competitor, Brevard College. The team is looking forward to a great season of mountain bike races and track events. Be looking for upcoming events such as our first collegiate mountain bike race at East Tennessee State University on September 7th and 8th! 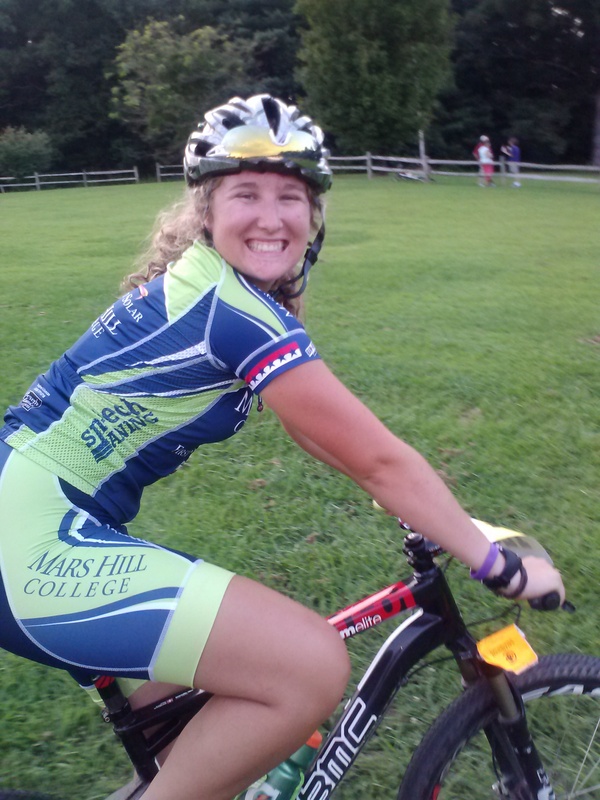 This fall Addy Albershardt joins Mars Hill University cycling team as an assistant coach focused on developing and growing our women’s program. Addy returns to Mars Hill after a season racing with Italian professional team Pasta Zara-Cogeas-Manhattan, winning stages at both the Vuelta a Costa Rica and the Vuelta El Salvador, where she also secured the U23 jersey. Addy first turned pro with the NOW and Novartis for MS pro team when she was just 17. She is a 5-time junior national champion on the road and track, representing the US at numerous world championships. Over the summer Addy took a break from racing to work at Camp Eagle Rock, a summer YMCA day camp in Charlotte, her hometown. Working with disadvantaged youth, connecting with autistic campers, and helping kids accomplish a triathlon inspired Addy to leave professional cycling in order to pursue a degree in education, and to help the current generation of upcoming junior women cyclists reach their potential both on and off the bike. Addy’s retirement announcement released by her pro team stated, “I have a heart to serve others and I think there are plenty of jobs in the cycling world to be able to come back and find my niche! I would specifically love to work with junior women’s cycling. I believe it is an area of cycling that lacks a lot of support and attention through my own experiences of racing as a junior.” An article in the Charlotte Observer also recognized Addy’s inspiration to give back to the community that supported her rise up the cycling ranks. 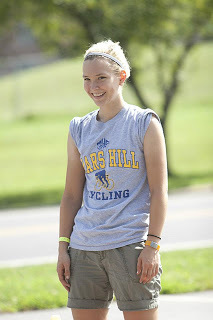 We at Mars Hill Cycling are thrilled to welcome Addy back to the team and excited that both our current and future cyclists will have the opportunity to learn from Coach Addy. 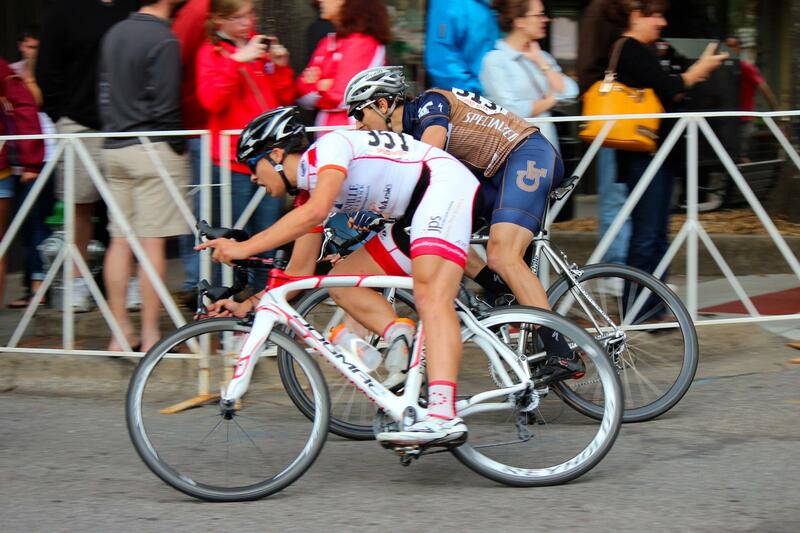 Mars Hill Cycling is excited to announce the addition of John Butler to the team. John joins the team as a freshman this fall and is from Athens, Georgia, where he first participated in that town’s famous twilight criterium when he was sixteen. John grew up road racing motorcycles and got into cycling as a way to cross train, so it’s no surprise that he excels at sprinting and criteriums. 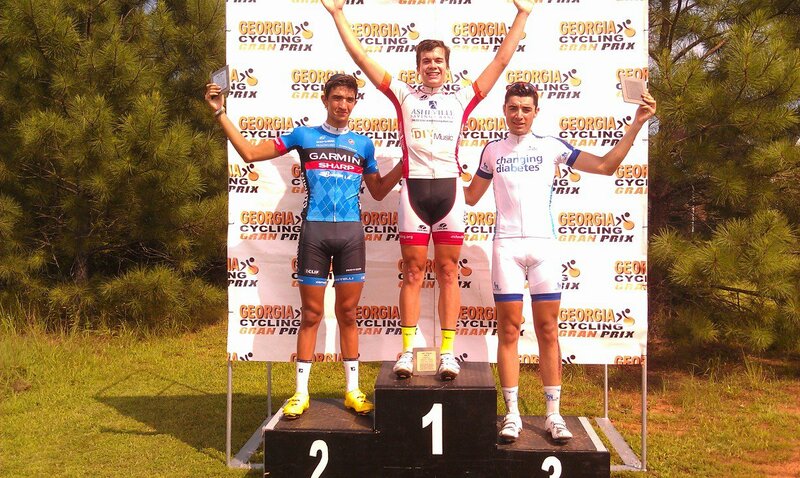 John has landed on numerous southeast podiums, most recently at the Georgia Gran Prix Circuit Race, which he won racing for Asheville Youth Cycling’s devo team. He plans to study computer science at Mars Hill University.